Compression stockings are specialized socks that are worn on the foot and leg to enhance return blood flow. They function to increase the return blood flow velocity and aid in venous valve effectiveness. In most cases, compression socks are prescribed by your doctor. We will take a series of measurements to ensure that the stockings fit perfectly. For those with a unique anatomical shape, we can also have custom compression stockings made especially for you. 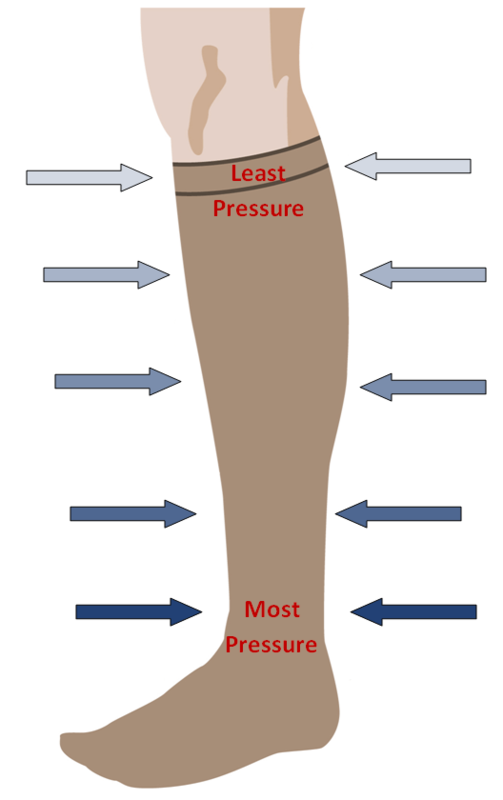 Medical compression socks create a pressure gradient from the most pressure around the ankle to the least pressure toward the cuff of the sock. While gravity continues to pull fluid and blood down the leg, the stockings create the opposite effect encouraging blood and fluid back up the leg. At Applied Biomechanics, we recommend Venosan Compression Stockings for our patients. At Applied Biomechanics, we also carry a wide range of athletic compression socks and compression stockings for athletes and active living. Our collection of ReSOXX Athletic Compression Stockings increase venous blood flow, which means faster removal of lactic acid and other metabolic byproducts. ReSOXX will improve your performance, and can also help speed recovery-time post activity.